HomeDog DaycareDoes Your Dog Get Enough Exercise Daily? Exercise is important to your mental and physical well-being, but your pup needs exercise to stay healthy and well-behaved. Often, people that have dogs are gone all day at work. Of course, they walk their dogs when they return, but is your pup really getting enough exercise? Returning to your home and finding the sofa cushions torn apart could be a sign that your dog is not getting enough exercise. Destructive behavior is frequently a sign of a bored and frustrated pet. Frustration and boredom is just part of the problem for dogs that do not get enough exercise. Lack of physical activity and mental stimulation can lead to serious health problems. Obesity is the leading cause of heart disease, arthritis due to excess stress on joints, breathing problems, and may increase the risk for developing certain cancers. Some people choose their homes with a fenced back yard for the purpose of allowing their dog a place to exercise. However, just letting him out will not guarantee he is getting the exercise needed. Most of the time, your pup will take a turn or two around the perimeter and sit or lay down. Dogs need stimulation to exercise. As long as you are out there with him throwing the ball, he will chase it, but when left to his own devices, he is not going to get the exercise he needs. You may be at a loss as to just how much exercise your pup needs. Although all dogs need exercise, it should be adjusted depending on their level of fitness and age. If your dog is overweight, he will need to exercise gradually to get back in shape. Older dogs may need to rest more frequently between exercises. Different breeds need more exercise than others. For example, dogs that were bred for sporting activities or hunting may need longer exercise times as well as a more rigorous type of exercise. This could include hounds or retrievers. Breeds that are more laid back, such as pugs or poodles, may need less exercise. Most people believe that their pet needs a couple of hours of exercise per day, but this can vary. An hour in the morning and an hour in the evening may suffice for some dogs, while others require more or less. Puppies may need a short period of play or exercise several times a day. They are still growing and get tired more easily than adult dogs, so they need to nap frequently. Even disabled dogs need exercise. If your pet is blind or has limitations due to a disability, it is still important to make certain that he gets some exercise on a regular basis. Short walks are a very good form of exercise for older and handicapped pets. In addition to physical exercise, playing games with your dog provides mental exercise that he is sure to enjoy. Dogs are very smart, and they love a challenge. A search for a dog daycare near me can result in a solution that will help your pup to stay in shape and be happy. Choosing a dog daycare that offers a variety of activities allows your dog to have the exercise needed, rest time, and socialization. He can interact with other dogs while being supervised to ensure that all the pups are on their best behavior. Checking on your pet during the day is an option with the use of webcams and your smart phone. This can help to calm any anxieties you may have about leaving your dog at daycare. Socialization is another important health benefit for your dog. If he is home all day by himself, he is not getting the interaction he needs. Did you know that dogs can become depressed and bored just like humans? When you choose the best dog daycare los angeles, you can rest assured that your dog has the opportunity to bond with other dogs. This is extremely important to their mental health, particularly for dogs, because they are pack animals. If your pet has special needs, they can be accommodated. Whether they need medication on a regular basis or need more breaks to rest, searching for a dog daycare near me, and finding the best one will allow you to know that your dog is being well taken care of while you are away or at work. A daycare with several assistants will ensure that your dog is receiving the personal attention he needs. The safety of your dog is important, and pets are always supervised in a good daycare setting. Another benefit of choosing the best dog daycare is the teaching atmosphere. Assistants can help your pet to learn good behavior and stop the bad behavior, such as not jumping on people, not consistently barking or whining, and eliminating other undesirable habits. Your dog will enjoy playing, socializing, and learning in a safe environment. When choosing a daycare, you should also make certain that your dog will have time outdoors, as well as being able to go inside when the days are very hot. A dog can become overheated, because they do not cool off the same way as humans. A pool is one of the best ways your dog can cool down and get exercise at the same time. The best dog daycare los angeles includes pools for those hot days when your pet wants to enjoy a cool relaxing dip. As a responsible pet owner, you want to make sure your dog is happy, healthy, and well-behaved. 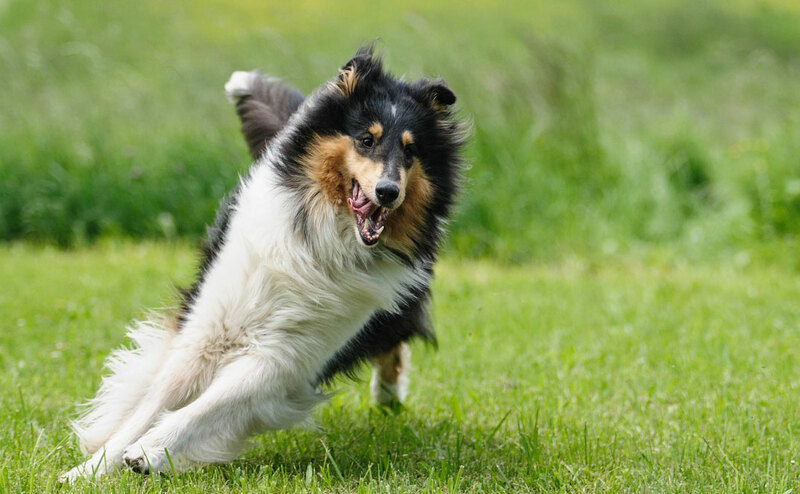 When you make certain he has plenty of exercise, is not consistently by himself, and has the attention he needs when you are unavailable, your dog will be much happier and well-adjusted. It is not only possible to achieve these things, but he will more than likely begin to look forward to his outings to the dog daycare to spend time with friends.